Adjudication & With-holding of Adjudication: What is it and what is the difference? Upon a judgment of guilt, the judge can declare an Adjudication of guilt which is a formal conviction of guilt, whereas the judge can also, under certain circumstances, may with-hold adjudication - meaning no conviction of guilt. The difference can be significant in many circumstances, such as in cases for being a convicted felon in possession of a firearm because mandatory minimum prison time could result for a prior conviction (adjudication) as opposed to someone whose criminal history resulted in a with-holding of adjudication. A with-holding of adjudication is a threshold term to begin the process when determining if you are eligible to have your criminal record sealed. However in many other circumstances a with-holding of adjudication has the same effect as an adjudication. For instance a with-holding of adjudication still counts towards your criminal history points in the Florida Punishment code when evaluating your sentence. A with-holding adjudication is treated as a conviction by Immigration when deciding to deport an alien. Arraignment: What is an arraignment? An arraignment is the stage in a criminal proceeding when the formal charges (Information or Indictment) are read to the defendant in open court. The defendant is generally asked to plead either Guilty, Not Guilty or No Contest (Nolo Contendre). If you plead Guilty at this stage, you may be sentenced right on the spot. If you hire an attorney your appearance at the arraignment can be waived; since the attorney can file a written “Not Guilty” plea on your behalf. This only applies in Florida State Court. If you are in Federal Court your appearance is still required. Arrest: What is an arrest? Arrest, when used in its ordinary and natural sense, means the apprehension of a person or the deprivation of a person's liberty usually by law enforcement based upon probable cause that a crime has occurred. It doesn’t necessarily mean taken into the squad car in handcuffs, but also under the reasonable person test of not feeling free to leave can be deemed an arrest. (Miranda Rights) The arrest does not usually end the police investigation, but may only be the beginning. The police will usually search the suspect incident to an arrest, and search the area within the wingspan of the defendant. Further the police may also start interrogating the suspect. Bail or Bond: What is bail or bond? Please click on Bail Bond Hearing for more detailed discussion on this subject. Entrapment: What does Entrapment mean? Entrapment basically means that law enforcement or its agents manufactured a crime that the Defendant was not predisposed to commit. In Florida, the Defendant has the burden of proof by the “Greater Weight of the Evidence” that the police actively engaged in a course of conduct intended to induce or encourage the defendant to commit a crime by a person other than one who is ready to commit it. A person prosecuted for a crime shall be acquitted if person proves by preponderance of evidence that his criminal conduct was the result of entrapment. Entrapment defense was successfully used by John DeLorean in the ABSCAM trial and by former Miami Dolphin Mark Duper in Federal Drug case. Felony: What is a Felony? What is a Misdemeanor? A felony is a crime of a degree where if incarceration in State prison is ordered as its sentence it must be for at least one (1) year. Not all convicted felons receive a prison sentence. It can be just a fine; it can also be a combination of Probation, House Arrest and County time in jail etc. If a Capital Felony sentence could be by execution. If a Life Felony a term of imprisonment not exceeding 40 years. If a First (1st) degree felony a term of imprisonment not exceeding 30 years. If a second (2nd) degree felony a term of imprisonment not exceeding 15 years. If a Third (3rd) degree felony a term of imprisonment not exceeding 5 years. A misdemeanor is a punishment for less than one (1) year. A second (2nd) degree misdemeanor is punishable up to 60 days. Felony Murder: What is Felony-Murder? Where one commits or attempts to commit a dangerous felony that results in the death of another, he is guilty of murder, even though the death is unintentional or accidental. The intent to commit the underlying felony is sufficient to sustain the charge of murder. There are various dangerous felonies listed in F.S. 782.04 among them include certain trafficking offenses, arson, sexual battery, robbery, burglary, kidnapping, aggravated child abuse, aggravated stalking, carjacking, home-invasion robbery. Pre-trial Intervention (PTI): What is PTI? 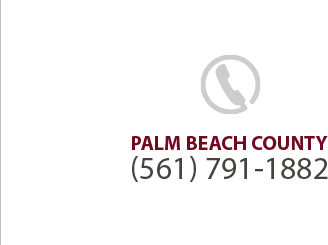 The Felony Pre-Trial Intervention (PTI) program is a diversion program operated by the Florida Department of Corrections. The purpose of the PTI program is to afford first time felony offenders the opportunity to avoid the stigma of a criminal conviction by diverting their case from the trial court process. Defendants charged with a qualifying third degree felony and who have no prior felony convictions may be approved for this program. Effective August 1, 2009, some felony drug offenses may now be eligible for PTI. The felony PTI program is similar to being on probation. Upon successful completion of the yearlong PTI program, the charge will be dismissed. Successful completion of the program will require making full restitution to the victim, if applicable, in addition to other conditions. It is highly recommended that defendants speak with their attorney regarding the benefits of entering this program as opposed to continuing through the court process. Other diversion programs exist for misdemeanors as well. NOT ALL OFFENSES AND NOT ALL DEFENDANTS QUALIFY FOR P.T.I. Speedy Trial: What does “Speedy Trial” mean? The Speedy Trial Clause of the Sixth Amendment to the United States Constitution provides that in all criminal prosecutions, the accused shall enjoy the right to a speedy trial. The Clause protects the defendant from delay between the time he is charged with a crime (usually from the time of arrest) to the beginning of trial. Speedy Trial is not the same as the Statute of Limitations. (For more discussion on Statute of Limitations see this website.) The speedy trial period for all felonies is 175 days and 90 days for all misdemeanors. However, two important things that you should be aware of regarding the “speedy trial rule ”. 1. You must have been available for trial during this time, and not been a fugitive. You must not have waived speedy trial nor been granted a defense continuance. 2. The 175 and 90 day rule is not the end all in getting your case discharged. Upon the expiration of either the 175 or 90 days you will need to serve notice on the Court and the State Attorney’s Office indicating that the Speedy Trial period has lapsed. Then, no later than 5 days from that date the Court will conduct a hearing to determine that Speedy trial has elapsed. The Court will then schedule the trial within 10 days. If the trial does not begin within 10 days, then you can motion the Court to have the case discharged. Basically this means the State has a 15 day grace period. Stand Your Ground Law: What is the “Stand your Ground law? The Defendant reasonably believed that deadly force was necessary to prevent death or great bodily harm to himself. “Detached reflection cannot be demanded in the presence of an uplifted knife” Opinion of Justice Oliver Wendell Holmes, Jr. in Brown v. United States, 256 U.S. 335, 41 S.Ct. 501(1921). I had one of the earliest Stand your Ground cases in the State of Florida, and in fact the case made it up to the Florida Supreme Court. Although that case helped establish the procedure in how to handle these cases. This is law is still confusing years later. A person who is not engaged in an unlawful activity and who is attacked in any other place where he or she has a right to be has no duty to retreat and has the right to stand his or her ground and meet force with force, including deadly force if he or she believes it is necessary to do so to prevent death or great bodily harm to himself or herself or another or to prevent the commission of a forcible felony. swings to the State to prove otherwise. Youthful Offender: What is a Youthful Offender (YO)? A YO is someone at the age of 18 to under age 21 and who if is otherwise eligible as a YO may avoid mandatory prison sentence and may also may receive a with-holding of adjudication .